Missing Persons of America -Is there foul play connected with the death of a 3-year-old New Jersey boy? 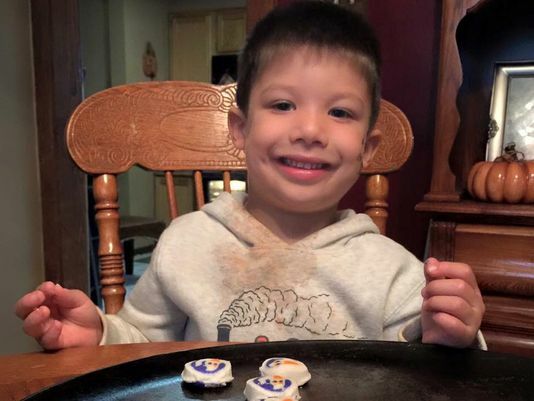 Home » Missing » Is there foul play connected with the death of a 3-year-old New Jersey boy? Is there foul play connected with the death of a 3-year-old New Jersey boy? UPDATE 10/22/15 – An autopsy couldn’t determine a cause of death. Authorities are still waiting for toxicology report. There is no broken bones or sexual assault on the little boy. Original Story: On Tuesday Oct. 13, a 3-year-old New Jersey boy was found dead in the wooded area off South Park Drive only hours after his parents reported him missing from his bed. Brendan’s father, DJ Creato called 911 around 6 a.m. on Tuesday when he woke up and his son, Brendan Creato was gone. DJ shares custody of Brendan with the child’s mother Samantha Denoto. They both lived in different homes and Brendan had been dropped off at his dad’s home Monday evening by his grandmother. We have heard many stories about little children leaving their home and wandering off lately and many of those has resulted in the same sad outcome of finding the child deceased after searching for several days. Usually the cause of death is exposure to the elements, but Brendan was only gone for 3 hours. The temperatures that night were in the high 50’s with the ground wet from recent rain, but is that cold enough to cause hypothermia in a child? An autopsy on Tuesday has failed to find out why the little boy died, and the next step will be a toxicology test. We will have to wait at least a month for those results to be obtained and even then it doesn’t mean it will give an answer. You can hear him talking to someone. You can’t hear it on this version of the tape but on the full version at the end of the call you can hear a woman’s voice call out Brendan’s name twice. There is no persons of interest that has been announced in the death of Brendan and his father had declined to retain a lawyer because he states he had nothing to do with his child’s death. But, something is just not adding up. How can a perfectly healthy little boy, walk away from his home and be found dead three hours later in the woods. Did someone enter the home and take him out? Did someone in the home harm him and then take him out? Hopefully, the toxicology test will give us some answers.